From the moment of arrival, you’ll experience a place like no other. 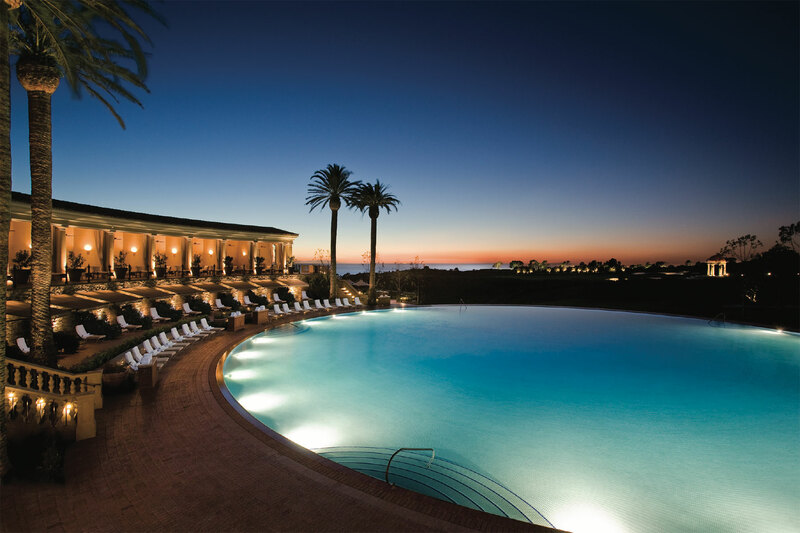 The relaxed comfort of Pelican Hill takes inspiration from the grand villas of the Italian countryside. Like the Mediterranean, the sun-drenched climate of Southern California allows indoor spaces to open up to the outdoors and panoramic views of the Pacific Ocean. The classic architecture of the Resort traces its roots back to Italian Renaissance architect Andrea Palladio. Three miles of pristine beaches perfect for strolling and exploring tide pools, as well as a swim, surf or dive into the ocean. An expansive perfect circle at 136 feet in diameter, Coliseum Pool’s glass mosaic tile bottom was cut and laid by hand. Jaw-dropping scenery and ocean views greet you from every vista on our two 18-hole Tom Fazio-designed courses. The natural grandeur of the ocean and the panoramic views of Catalina Island are constant, soothing companions. Explore every detail of our campus with our interactive resort map. Hop on over to Pelican Hill for egg-citing Easter events and dining experiences. Extend your stay with a complimentary fourth night—on us. Take part in seasonal activities and events around our 504-acre Resort. Stretched out across 3.5 miles of beautiful coastline, Crystal Cove is one of the last oceanfront nature preserves left in Southern California. In addition to swimming, surfing and kayaking the crystal blue waters, visitors can stroll the sandy beach, explore tide pools, jog or cycle along trails that meander through the canyon, and check out the Historic District, with 46 quaint beach cottages preserved from the 1920s and ‘30s. Pelican Hill is perched upon the coastline, just south of Newport Beach. The Resort is a 15-minute drive from Orange County’s John Wayne Airport and a 45-minute drive from Los Angeles International Airport.